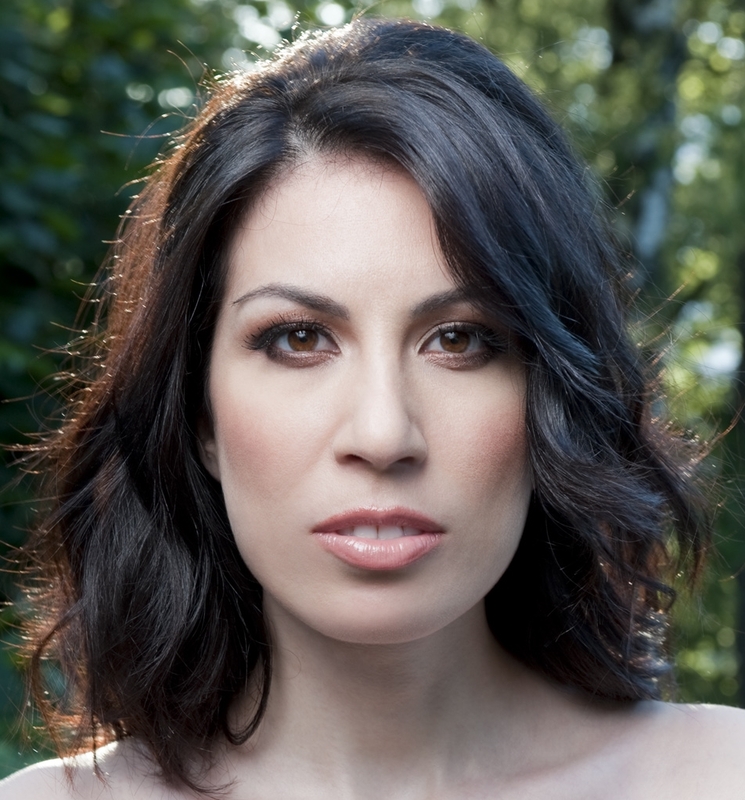 A collaboration between soprano, Rosy Anoush Svazlian and pianist/composer, Andrea Manzoni. Rosy Anoush Svazlian, Lyric Soprano, is a promising young artist of Armenian descent, originally from San Francisco, California. Rosy Anoush began her musical studies with violin at the age five under the guidance of her father, Gerard Svazlian, currently tenure violinist at the San Francisco Opera. She then continued her musical education with the studies of piano and voice. She completed her Masters studies in the Conservatory of Giuseppe Verdi in Milan, studying under the guidance of Maestro Gianni Mastino and Maestro Adalberto Tonini. She was involved in the prepartory program at Academy of La Scala, under the tutelage of Maestro Vincenzo Manno. Rosy Anoush was involved in various productions at the Conservatory of Milan, including The Beggar's Opera, (Jenny Diver and Lady Di) K. Weil, The Little Sweep (Rose) B. Britten, La Boheme (Musetta) G. Puccini, Il Signor Bruschino (Marianna) G. Rossini, L'elisir d'amore (Adina) G. Donizeti, Le Nozze di Figaro (Contessa), and La Voix Umaine, F.Poulenc. She has also performed in Teatro dal Verme in Milan as the lead protagonist in the opera Savitri, G. Holst. In 2010, Rosy gave her debut concert in Yerevan, Armenia, in concert with world renown tenor, Placido Domingo, who then chose her as one of the participants in the world leading international opera competition OPERALIA, Moscow 2011. She has debuted roles in various theaters in Italy, California, and held concerts in Italy, Moscow, Finland, Germany, and the US. In 2013, she debuted as Anoush in the traditional Armenian opera “Anoush,” by Armen Tigranian, in the Yerevan State Opera. Born in 1979, he began studying piano at age 10 with several teachers including Franco D’Andrea, Stefano Battaglia, Armen Donelian, John Riley, Alexander Cerino, Lawrence D. “Butch” Morris, Christian Leroy, Battista Lena, Pierre Vaiana, Antonio Ballista, Nazareno Carusi, and Tiziano Poli. Andrea started to play concerts soon after. He has collaborated with artists such as Aldo Romano, Irene Grandi, Elio (“e le storie tese”), Lawrence D. “Butch” Morris, Annalisa Minetti, Alessandro Cerino. He has performed on stages, on television, and on radio (Italian and international broadcasts) including: the “Tenco” Award, Heineken Jammin’ Festival 2010, Taratatà (France 2), RSI (SSR-SRG Swiss public radio and TV broadcasting), France Inter, “Strade del Cinema” Roman Theatre of Aosta, “Umberto Bindi” Award, Goethe Institute, Espace Veux (Brussels), Mantua Music Festival, Bordighera Jazz & Blues, Mendrisio Music Festival, Locarno Film Festival, “Poestate” Lugano, Cervino Film Festival, Libra Festival, and more. Andrea works for RSI (SSR-SRG Swiss public radio and TV broadcasting) in the production of radio dramas and in the music recording of soundtracks for Swiss-produced broadcasts, both as a sideman and as a composer. He has worked with producer Peter Walsh (Steve Wonder, Simple Minds, et al.) on the EP “BugZum,” by the Italian band Lomé (www.lome.it -Ed. The Eubage © 2008). During that same year Andrea also collaborated with composer/artistic producer Walter Zweifel (John Cage) on the production of the CD “Gadamer” (www.gadamer.biz – RSI/Altrisuoni© 2008). Trio Discography: Quantum Discord (Altrisuoni©12), Destination Under Construction (MeatBeatRecords/RSI©14), he began studying piano at age 10 with several teachers including Franco D’Andrea, Stefano Battaglia, Armen Donelian, John Riley, Alexander Cerino, Lawrence D. “Butch” Morris, Christian Leroy, Battista Lena, Pierre Vaiana, Antonio Ballista, Nazareno Carusi, and Tiziano Poli. Andrea started to play concerts soon after. He has collaborated with artists such as Aldo Romano, Irene Grandi, Elio (“e le storie tese”), Lawrence D. “Butch” Morris, Annalisa Minetti, Alessandro Cerino. For more info please visit: www.manzoniandrea.com.